Upholsters repair or replace upholstery, the fabric or leather covering on furniture, and the padding and hardware used to make furniture attractive, comfortable, and enduring. Upholsterers work on every part of furniture, from the frame to the cushions, to the intricate designs adorning the exterior. When replacing upholstery, they examine the wood skeleton of furniture for any defects, repair any broken pieces, refinish exposed wood, and secure material to the frame before starting on padding. 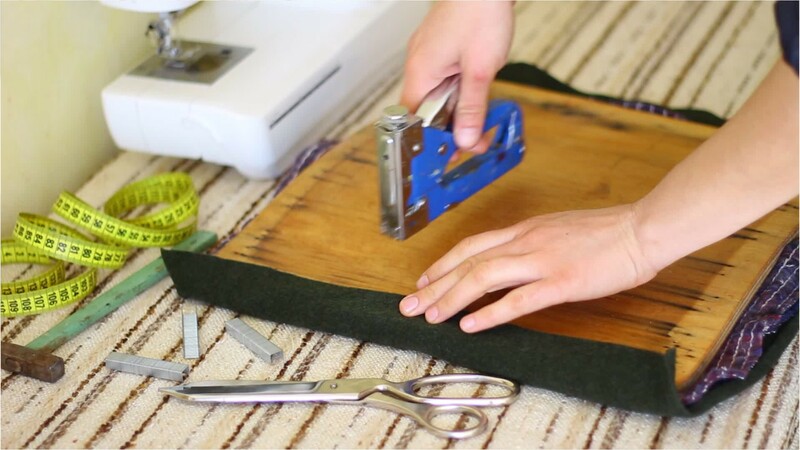 On top of the frame, upholsterers use fiber stuffing, cotton, felt and other materials to create the shapes that make furniture softly cushioned. Finally they measure, cut, sew, and staple the pieces of fabric and leather that cover the piece of furniture. Upholsterers may also construct custom furniture from scratch. Work schedules are typically full time, and work weeks longer than 40 hours are not uncommon. Upholstery requires using a large variety of tools, from scissors and needles, to highly specialized power equipment. The majority of upholsterers have a high school diploma or equivalent, although there are no formal education requirements. Many find work either through on-the-job training, apprenticeships, or technical education. See more details at O*NET OnLine about upholsterers. Upholsterers by U.S. Department of Labor, Employment and Training Administration is licensed under a Creative Commons Attribution 4.0 International License.